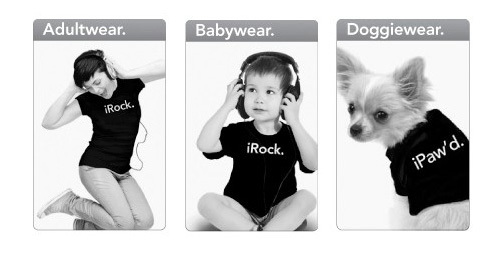 Each iStyle product comes in an individually designed "softwear" box. 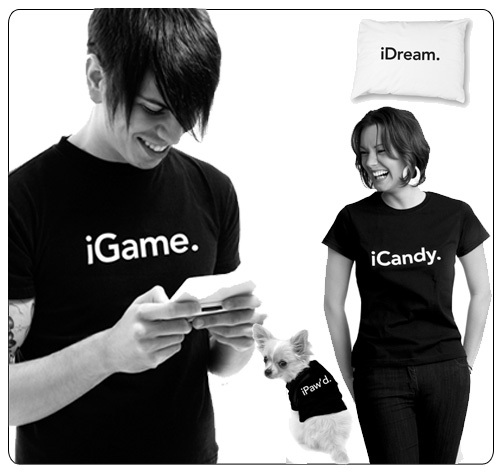 Created to emulate softwear packaging, the iStyle box is as engaging as the product inside. Each box eatures Technical Specifications, System Requirements and product information that will bring a smile to everyone. Easy to wrap, they make the perfect gift for everyone on your list. 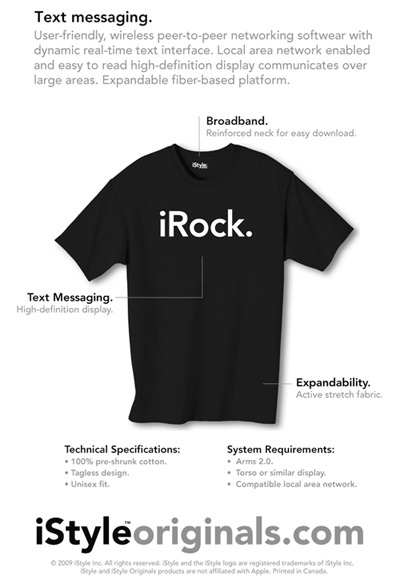 More than a trend or a technology, the iPod has become embedded in our thinking about entertainment, education, media and culture. Consumers continue to find new ways to use and enjoy the more than 220 million (and counting!) iPods sold. 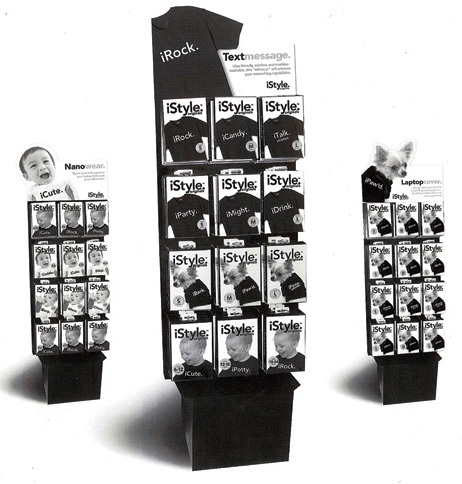 iStyle products feature our distinctive and witty packaging that is guaranteed to turn heads and ring up sales. iStyle products fit effortlessly into your product mix with no complicated set-up. And our easy in-store displays will stop traffic, so order your pre-packs today !